- comfortable and stylish. We suggest you team it with a solid tee and a pair of training shoes to complete the look. Trendy in terms of design, this pair of Military Cargo Shorts is tailored from quality cotton which ensures optimum comfort. In a zest to attain maximum client approval, we manufacture the Kids Cargo in accordance to latest fashion trends. We want orders for more than 100 Quantity. 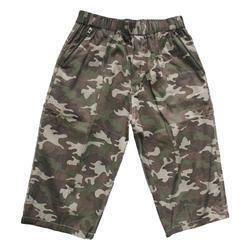 We have been counted amongst the most trusted names in this domain, engaged in providing Kids Cargo Shorts. This pair of Short Cargo Pants is not only comfortable to wear but also scores high in terms of style. Our clients appreciate our range of Cargo Short Pants to such an extent that they keep coming back to us with repeat orders. 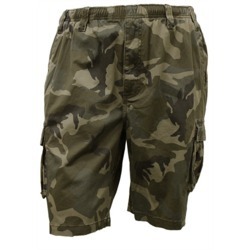 - Owing to years of experience in the industry, we offer wide range of Men’s Slub Twill Cargo Short. Our product range is valued among the clients for optimum quality, perfect stitching and smooth designs. This Men's Slub Twill Cargo Short is well praised for colorfastness and quality. We are engaged in offering Cargo Short to our clients. These Shorts are good demand in the market due to high quality and durability. These products are available in market at competitive rates. We are ofering wide range of short in various such qualities like yarn dyed, fabric dyed, poplin, drill, twill etc. .
designs and sizes are modified as per customer needs.